MCA has taken a very serious note of allegations of financial mismanagement against Dewan Housing Finance by Cobrapost and is likely to start a probe into this. Reportedly, the government will continue to give financial support to Air India until the divestment process is complete. NCLT has approved the resolution plan of US-based Tri-County Premier for the acquisition of debt-ridden Bhilai Scan and Research Diagnostics for Rs.67 Crores. SBI is finding it easier to negotiate the return of loans taken by the firms as the companies do not want to be referred to NCLT for insolvency proceedings. Zomato is in advanced discussions to sell its UAE Business to Delivery Hero, a Berlin-based food delivery major, for around $200-250 million. OnePlus has said that it does not have any exclusive agreement with Amazon and the current arrangement of selling exclusively on Amazon is only a strategic choice of the firm. National Restaurant Association of India, representing around 100,000 restaurants, has asked the government for clarification on the compliance of new FDI rules by online delivery firms like Swiggy and Zomato. The rules prohibit these platforms to influence prices and inventory based operating models. Hindon airport in Ghaziabad is likely to be operational by March 2019 for UDAN flights. Dewan Housing Finance has sold wholesale real estate project finance loans worth Rs.1,375 crores to Oaktree Capital fund. Cobrapost has accused DHFL promoters to have syphoned off Rs.33,000 crores from the company. Jet Airways cancelled around 19 local flights yesterday as its lessors forced grounding of some planes due to non-payment of lease rentals. SBI is set to take a 15% equity stake in Jet Airways to convert part of their loans into equity. Under the deal, holding stake of Naresh Goyal may reduce drastically. Supreme Court has set aside Petroleum and Natural Gas Regulatory Board’s order withdrawing NoC for laying gas pipelines in Udaipur and Jaipur by Adani group. Nick Read, the Vodafone CEO, is said to have met Telecom secretary to seek relief in spectrum payments of Vodafone Idea. Vodafone Idea and Bharti Airtel had requested the government for deferment of spectrum payment due to losses in the business. Rana Kapoor and Madhu Kapoor have agreed to nominate one director each on the board of Yes Bank. Millions of mobile wallets may become invalid by the end of Feb.19 due to non-compliance of KYC. E-wallet firms are finding it difficult to do KYC after government’s ban on the use of Aadhaar for KYC. Sebi has slapped a fine of over Rs.13 Crores on five entities of Gujarat Arth Ltd. for manipulative trading and violating insider trading provisions. Vedanta shall invest Rs.8500 Crores in South Africa to expand its mining and allied operations. Tata Steel has sold 70% stake of its Southeast Asian operations to HBIS Group of China for $327 million. To resolve high-value nine insolvency cases including Essar Steel, Jaypee Infratech, the government has set the deadline of March end. The four founders of Mindtree are working on plans to stall takeover of the firm. They are said to be working on plans to buy-back shares of VG Siddhartha. Paytm Mall is restructuring its top and middle-level management teams to focus on B2B and offline-to-online consumer businesses. Reports have been coming that Paytm is looking to either scale down or completely exit its consumer-facing business. IT department has attached a portion of shares of Mindtree held by Siddhartha and Coffee Day Enterprises over a potential tax demand. The firm said it would take the required action for getting the shares released soon. PhonePe is set to enter the financial services market and will soon start selling mutual funds through its app. To attract more investors in REITs (real estate investment trusts) and InvITs (infrastructure investment trusts), Sebi has proposed to reduce the lot size for trade drastically. 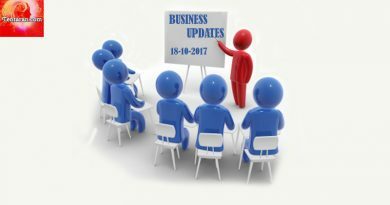 The proposal is to reduce the lot size to between Rs.15-20,000 from earlier lot size of Rs.10 Lakh for InvITs and Rs.2 Lakhs for REITs. Trai is likely to take a decision on whether to bring OTT services under the regulatory ambit by the end of this month. It plans to organise an open house discussion on the matter. RBI has asked all registered P2P lenders to submit details of their financial profiles, exposure to participants and financial health within two weeks. Zydus Wellness has completed acquisition of Heinz India’s consumer wellness business, acquired for Rs.4,595 Crores. The acquisition includes some popular brands like Glucon D and Complan. Investcorp has started India operations with the acquisition of IDFC Alternatives. Investcorp has combined assets under management of USD 430 million. Paytm has acquired Nightstay, a hotel booking platform, for an undisclosed amount to venture into the hospitality segment. It has earmarked Rs.500 crores for scaling operations in the hotel business and expand travel services portfolio. Oyo is in advanced stages of discussion to acquire Innov8, a co-working space business, for around Rs.200 Crores. Marriott International is planning to acquire around 10% in Chalet Hotels, which owns properties like JW Marriott and Bengaluru Marriott. As per top media buyers, advertisers are expected to spend over Rs.2000 Crores during IPL. Rebel Foods (Faasos) is looking to raise up to $150 million in fresh funding at a valuation of $350-400 million. It has appointed Bank of America Merrill Lynch for advice on fundraising. and seek new investors. SoftBank’s investment in India is set to cross $10 billion with the latest investment in FirstCry and Delhivery. Though the firm had plans to invest the amount in 10 years starting 2014, it’s been able to achieve its target in less than five years. Ajit Dayal and three other former Tata Group executives along with Quantum Advisors have floated a $1-billion PE fund. The fund shall invest only in publicly listed companies promoting environment and ESG values. Essar Steel update – NCLT’s Ahmedabad Bench has rejected the plea of Essar Steel Asia Holding to submit a settlement proposal. Reid & Taylor – NCLT has refused access of forensic audit copy to Kasliwals. KPMG audit had found that the promoters Nitin Kasliwal and family had transferred Rs.3,524 crore from Reid & Taylor between Oct 2014 and Apr 2018. NCLT hearing is on Feb. 19. Fortis case – Supreme Court has sought a response from Fortis Healthcare on the plea of Daiichi seeking a restraining order on transfer of Rs.4,000 crore Fortis received from IHH Healthcare to RHT Health Trust, Singapore. ICICI Bank has sacked Chanda Kochhar after Srikrishna panel found that she breached bank’s code of conduct. Air India SATS has appointed Ramanathan Rajamani as CEO. He will succeed Mike Chew, who’s been the CEO since October 2015. Yes Bank is likely to nominate Shagun Kapur Gogia, daughter of Madhu Kapur on its Board. Madhu had been fighting for a seat for Shagun on the Board since the death of her husband Ashok Kapur. Punit Goenka, MD&CEO of Zee Entertainment, has been elected the new chairman of BARC India, TV viewership measurement company. He will take over from Nakul Chopra. Brookfield Asset Management is hiring Aditya Joshi of Apax Partners to grow its India business. 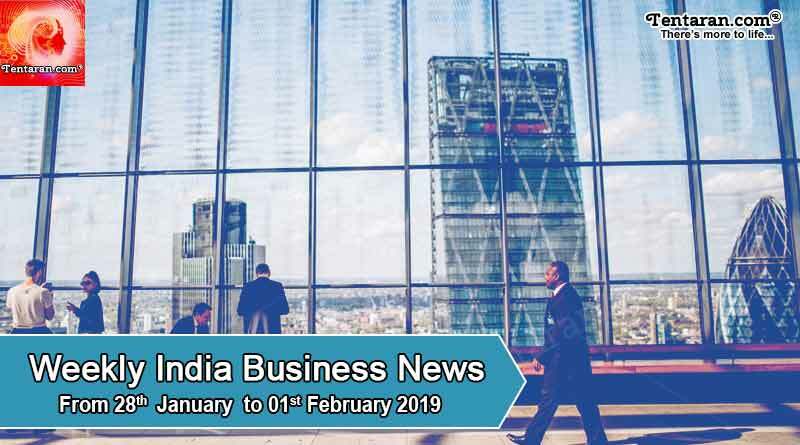 For more articles like ‘India business news headlines weekly roundup 25th Jan, do Subscribe to our newsletter and follow us on Facebook, Twitter and Google+..